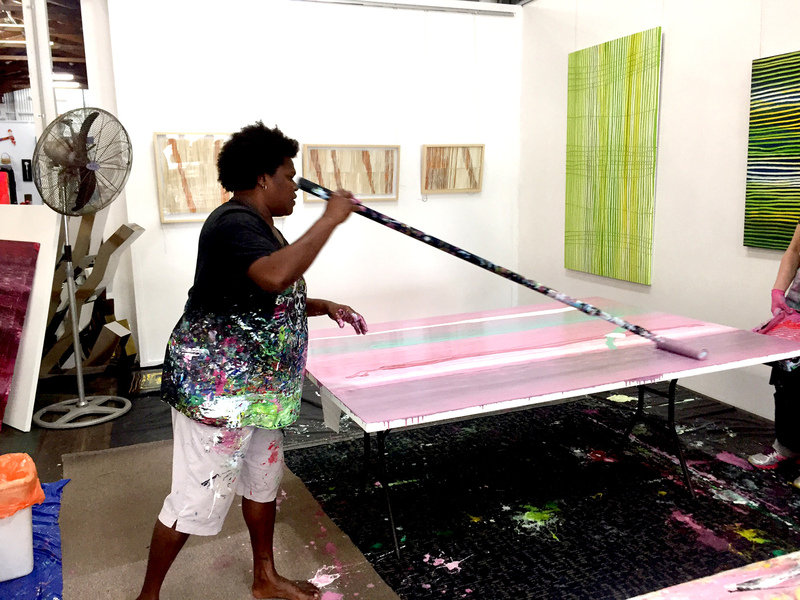 Over the past week, from Saturday 29 October - Saturday 5 November, Rosella Namok came down from Cairns, QLD, to undertake an artist workshop in the gallery. 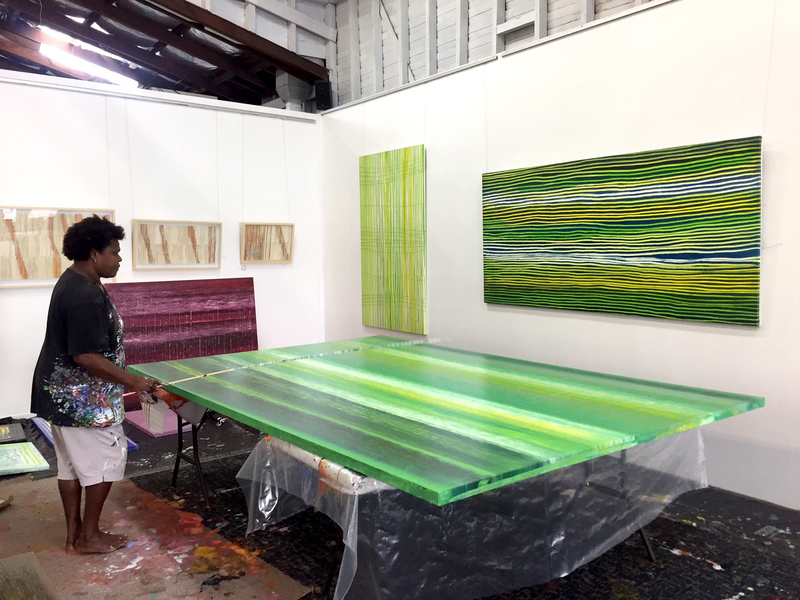 During the workshop, she painted works contributing to her Stinging Rain series, as well as exploring techniques of paint scraping and using her fingers to create lines in the paint. 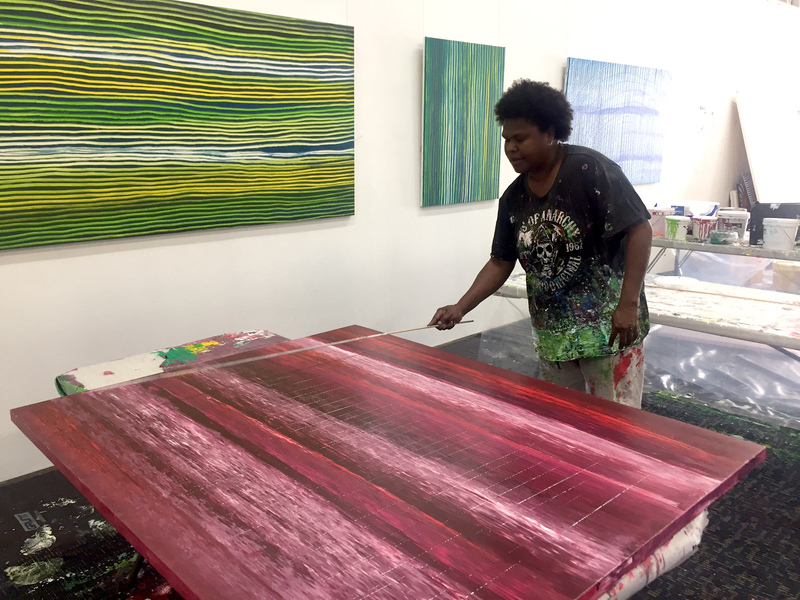 Some of the works Rosella painted in this workshop are now on display in the gallery, as part of the She Walks the Line 1 exhibition, showing until Thursday 1 December 2016.